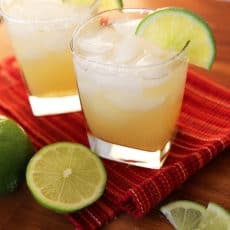 Home » Recipes » Drinks » Best Margarita Recipe I Promise! Here it is the best margarita recipe! Super yummy and the perfect mix of tart and sweet with a refreshing fizz! I have also heard these called beer margaritas. No matter what you call them they are delicious! This is not your classic margarita. Beer is used instead of triple sec. 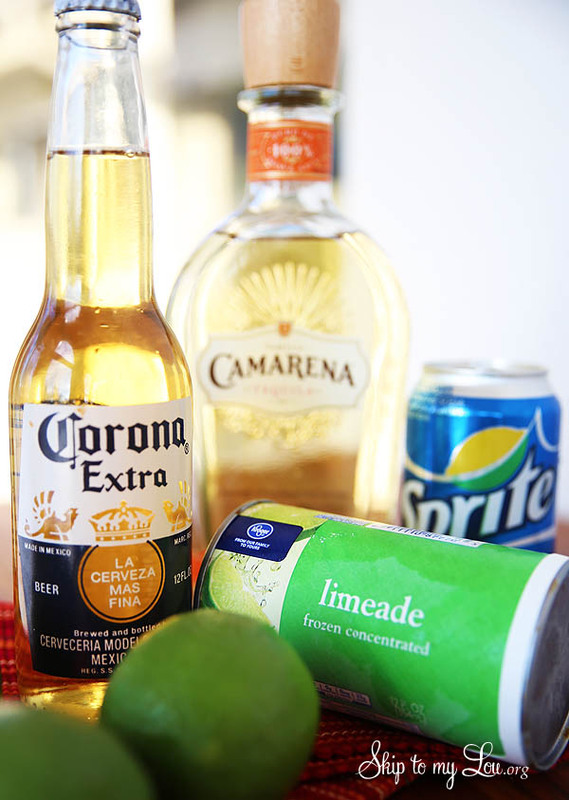 Sprite fills in for the simple syrup and frozen limeade replaces fresh lime juice. Of course, you still add tequila. All the ingredients mix together in a large pitcher. Serve over ice in a salt-rimmed glass with a fresh lime wedge. This margarita recipe is EASY. No need to fill a cocktail shaker with ice and add ingredients for each drink. Just fill up a pitcher! Often these margaritas are called beer margaritas. Mix all the ingredients together in a pitcher. Server over ice with a wedge of lime. So easy and so delicious! The ingredients are easy to keep on hand! So you can have a delicious margarita anytime. Your friends will be happy you are so prepared. I cut down on the calories in this recipe by using diet Sprite. You will never know the difference. In a pitcher combine a Corona Light (or other Mexican Beer) and 12 ounces of limeade. Now, fill up the empty limeade can with the Sprite, then again with tequila. 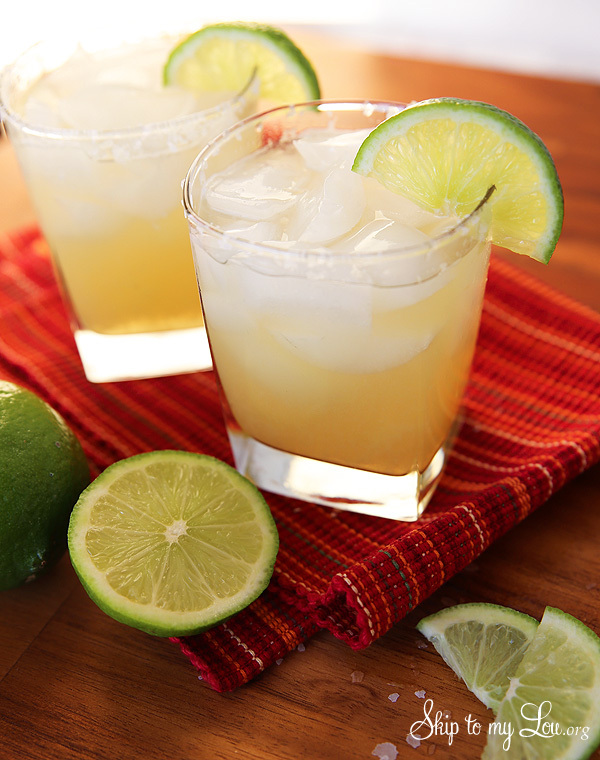 Serve over lots of ice in margarita glasses with lime wedges around rims. A perfect beer cocktail. Actually, you would never know it has beer in it. Another citrus drink we love is the Moscow Mule. We even have a fun variation of the mule drink that adds cucumber. It is super refreshing. Here are more easy drink recipes that you might enjoy! For an easy appetizer recipe, that is perfect for Cinco de Mayo or any other party try this warm basil pesto cream cheese spread. All you do is spread prepared basil pesto over a brick of cream cheese and heat in the over. Delicious and easy! Do you have a favorite drink recipe and appetizer? Do share! Just leave a comment. They are yummy! I've been making these for YEARS - we called them poor man margaritas.